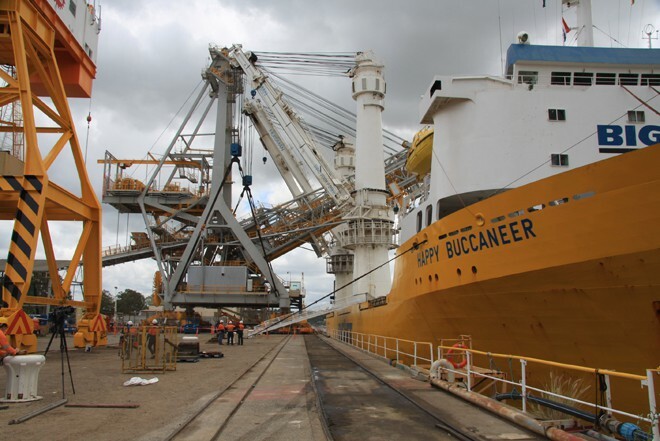 In Australia, mv Happy Buccaneer just completed the transportation of a massive coal shiploader from Brisbane to Abbot Point. 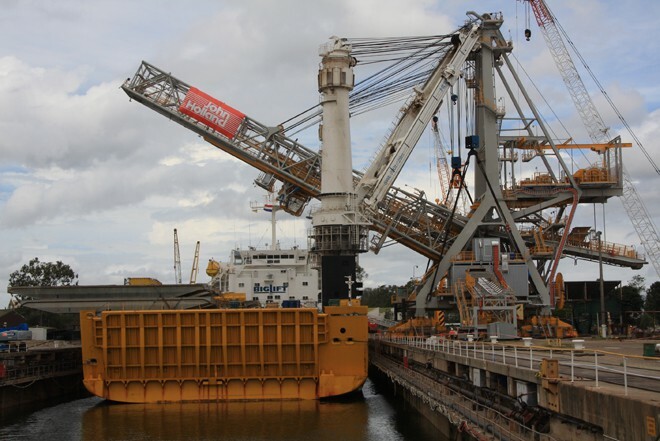 The total weight of the shiploader was 1307 mt and it measured 37.5 x 23.9 x 72 mtrs. One of the challenging aspects of this transportation was passing under the Gateway bridge at Brisbane. 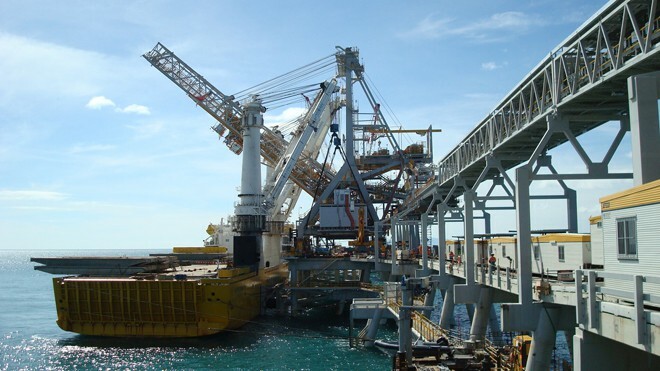 Because of these height restrictions, special seafastening supports were designed to reduce the overall height. 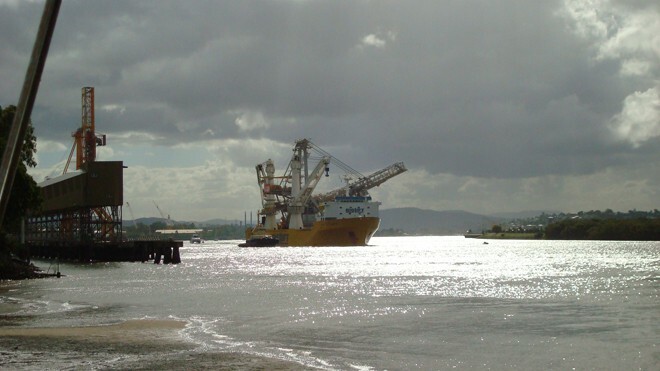 It was also necessary to sail down river with the shiploader boom at a 25 degree angle. The bridge was passed at low tide with only 2 mtr clearance. 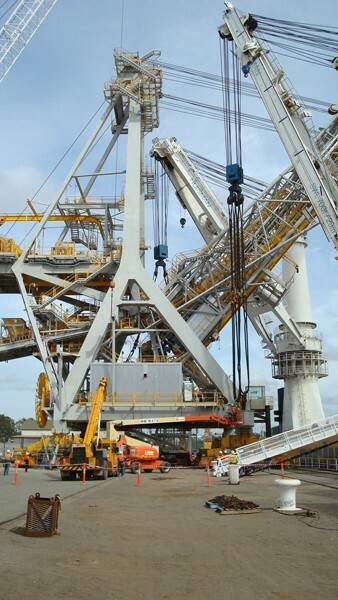 After this passage, the crane boom could be raised and secured for the voyage to Abbot point. After landing and securing the shiploader's 4 bogies on the wharf, it was discharged and safely landed on her bogies.